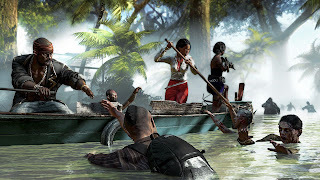 Check out some Dead Island: Riptide gameplay! Although it arrives in April, there's hasn't been too much detailed about Dead Island: Riptide aside from the fact the you'll be able to use your saves from the original game and that the game takes place on a new island. Well that changes today as the developers have released some footage of the game as well as developer commentary, which shows off some improvements from the original game.